@fearlessfrog - That’s awesome…I recognize that place. By the way…in one of my previous EPOCH flights…I ran up to Chilliwack to get some helicopter work done… I’m just wondering why you didn’t tell me not to spend the night there? I’m just wondering why you didn’t tell me not to spend the night there? If you have a light aircraft coming from the North into Chilliwack and it’s not carrying drugs then I think you get a free kilo at the airport. With that in mind, pretty much all that footage is now explainable. Jus remember if you want to customize it even more, you can use the WED and load that airport up and adjust it to your liking, AKA add autogate etc. I will say this do not visit the .org store until payday! lol, I’ve already picked up the Beaver and Bell 412 when they were on sale. @BeachAV8R is a bad influence on my checking account. Excellent! Thanks for the tip! Will wait for it to go on sale! The DC-3 is one of my favorites! @weaponz248 One thing I couldn’t figure out yet is how in WED to ‘force it’ to use the proper active runways. For YVR, the 12/30 is only used with a strong cross-wind, as the 08/26 Left and Right are the arrival and departure propers with ILS etc. Even if I put a gust over the airfield it seems X-plane just loves to use 12/30 for everything. Frustrating. Is there a way to make that runway inactive in WED? One thing I couldn’t figure out yet is how in WED to ‘force it’ to use the proper active runways. For YVR, the 12/30 is only used with a strong cross-wind, as the 08/26 Left and Right are the arrival and departure propers with ILS etc. Even if I put a gust over the airfield it seems X-plane just loves to use 12/30 for everything. Frustrating. Short answer no. However the best way to work around that is simply dont use the ATC. Ah well, thanks anyway. 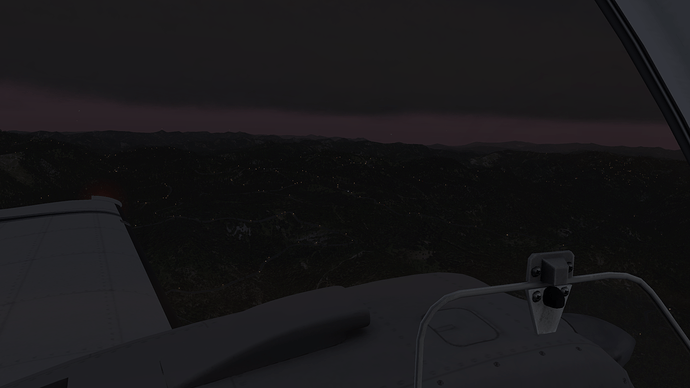 I did almost get a decent IFR flight out of it, and I do like to work the radios. Hopefully something that X-Plane will make better over time. I really think it helps immersion. I agree and I think they are working on an improved ATC. However once you get into the bigger planes and the real world FMCs with SIDs and STARs you will drop the ATC. I like the imersion of the ATC but I like the actual flying the SIDs and STARs better.